Distracted driving is a national epidemic. It’s become more widespread than the flu. We are working to get the word out through the Terrell Hogan Distracted Driving Awareness Campaign for the Workforce. Our hope is to end the dangers of distracted driving in Northeast Florida work places and help make our roadways safer. The Workforce Campaign is a free presentation to share with businesses and civic groups. 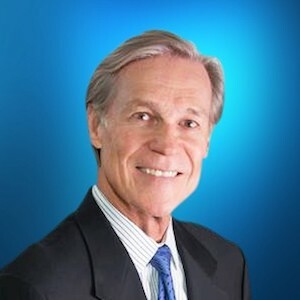 It covers risks of distracted driving, strategies to combat it, and legal liabilities and other serious consequences: civil liability for personal injury or wrongful death, criminal charges, property damage, loss of a license, insurance rate hikes, fines and productivity loss. The presentation addresses implementing policies for cell phone use and identifies policies used by some companies. Research proves that our brains actually switch from one task to the other, meaning that with phones and driving, we suffer tunnel vision and miss crucial visual cues. The brain focuses on the call, not on the driving. Brain distraction is essentially brain blindness; the eye sees but the brain doesn’t perceive. The dangers of texting and driving are well-known, but many don’t realize that calls – even hands-free calls – can kill. Hand-free is not what it’s cracked up to be and the research shows drunk driving and distracted driving are equally dangerous. With changes in the legal landscape, the financial stakes are even higher for companies and their employees. An employer can be held liable when distracted driving by an employee causes a wreck and one bad accident could harm a company’s brand and bottom line. It can also cause companies to have higher insurance rates, civil lawsuits, punitive damages – which are not insurable – OSHA fines and productivity loss. Employees could also face manslaughter/vehicular homicide charges when reckless driving kills. You will learn about the importance of educating employees about the dangers of distracted driving and emphasized creating and implementing policies addressing cell phone use. 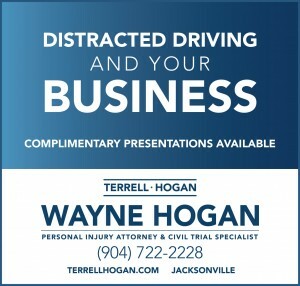 The Terrell Hogan Distracted Driving Awareness Campaign offers two complimentary distracted driving presentations: “For the Workforce” for businesses, civic groups, governmental units and churches, and EndDD for students. We consider it an honor to be part of EndDD which was created by his friends Joel and Dianne in memory of their daughter, Casey Feldman, who was killed by the negligence of a distracted driver.